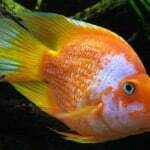 Cichlids from Lake Tanganyika in Africa are becoming more and more popular amongst aquarists and as such there are more of them being imported to the UK and USA. one of the most popular groups of Lake Tanganyika cichlids to keep are the Tropheus genus and although an amazing biotype aquarium can be made up of just one or multiple types of Tropheus cichlids, it is often desirable to have other types of fish with them too in the same tank. 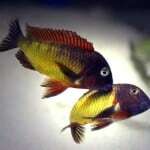 So which fish are compatible with Tropheus cichlids? 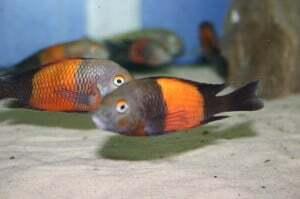 Tropheus are Aufwuchs-feeders and due to their nature tend to dominate any tank in which they are kept which limits other fish from the lake or indeed other lakes with less dominant behavioural attributes. Causing your fish stress is not good practice in fish keeping so more submissive fish such as featherfin mouthbrooders and shell dwellers will always be stressed when kept with Tropheus species so this is inadvisable as their natural behaviour patterns will not be observed and their stress may lead to early death. Tropheus will often chase featherfins and nip at their long trailing fins. Petrochromis cichlids have similar traits to Tropheus and are strong natured too so these are a clear match for keeping with Tropheus cichlids. They are also Aufwuchs-feeders and will stand their ground very well against Tropheus. 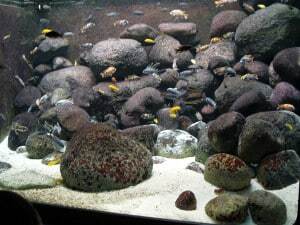 Provided you have a large enough tank, members of the Julidochromis and Lamprologus groups are very suitable matches for keeping with Tropheus too. 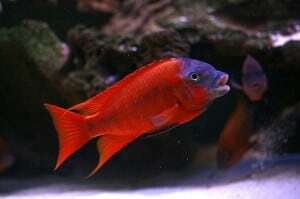 They are very much able to withstand the bully boy nature of Tropheus species and diet is similar to Tropheus too. 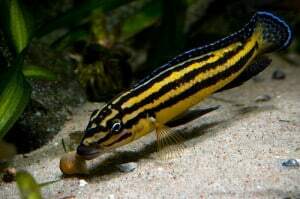 Goby cichlids as they are commonly known can also make for great tank mates for Tropheus cichlids as they are virtually ignored however should generally only be kept within a larger aquarium themselves due to being quite quarrelsome between themselves. 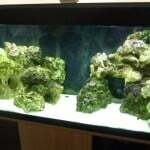 These goby cichlids are made up of the following genera; Spadthodus, Eretmodus and Tanganicodus. 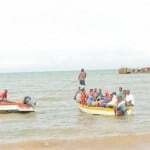 It also has to be said that if you are not fussed about having a strict Tanganyika biotype aquarium then fish from other African Rift Valley lakes such as Malawi could be suitable, more specifically mbuna types. 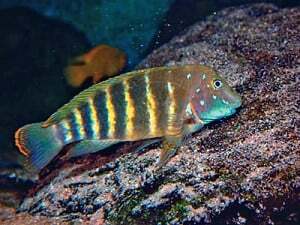 The majority of mbuna can certainly hold their own and feed from eating algae formed on rocks too. 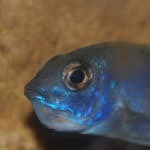 The diet of the fish is just as important as the temperament of the fish and as such, species such as Frontosa and Altolamprologus (Calvus) should be avoided at all costs as they will not receive the correct diet if fed on a strict Tropheus diet. 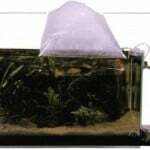 What does F1, F2 and WC mean in Fish Keeping? 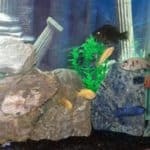 This entry was posted in Articles All, Articles Fish (Freshwater). Sometimes tornadoes pick up fish while traveling over water and carry them over land, where the fish rain down. These “fish showers” have been happening for thousands of years. 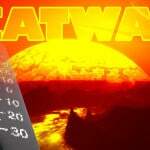 Roman writer Pliny the Younger describes this phenomenon in the 1st century A.D.